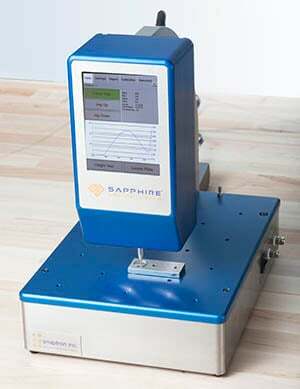 Force-Displacement Test Station - Sapphire™ Switch Tester For Metal Dome Buttons | Snaptron, Inc. 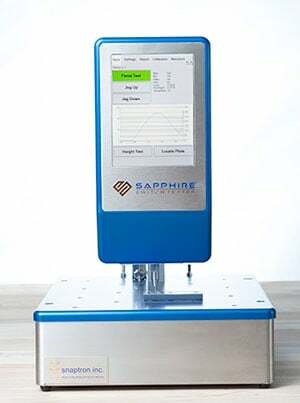 The Sapphire™ switch force displacement test station is designed for accurate, repeatable force and displacement measurements of various types of tactile metal switches and dome switch assemblies. 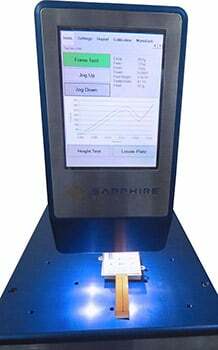 The Sapphire is a standalone unit that tests and displays precise measurement data on an LCD touch screen display. 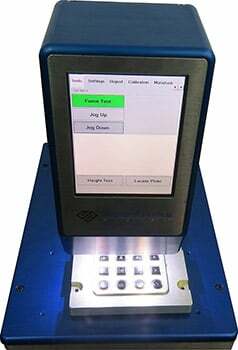 Full measurement reports can be uploaded to your network or to a USB drive. 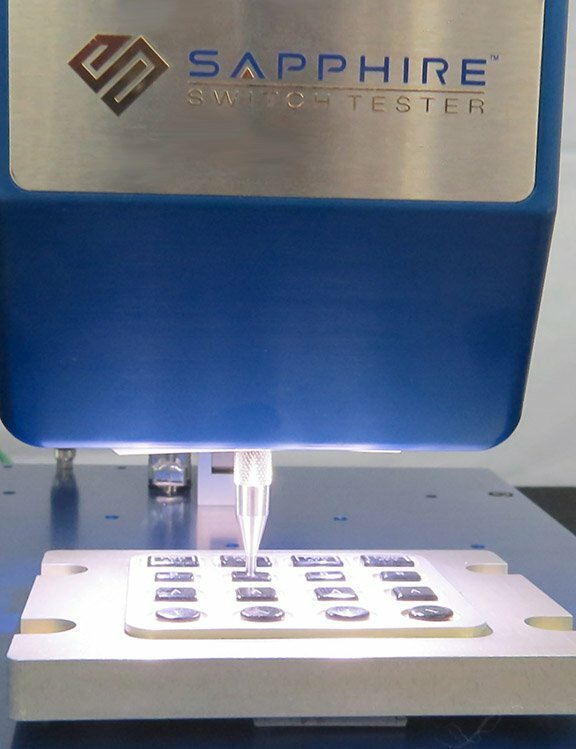 The Sapphire switch force tester is used to test metal snap domes, poly domes, membrane switches, and most other switches. 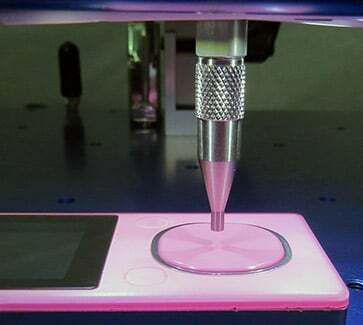 The force test station follows ASTM standard F2592. Tests include trip force, return force, standing free height, displacement (travel), tactile ratio, tactile activation slope, switch resistance, and other ASTM measurements. 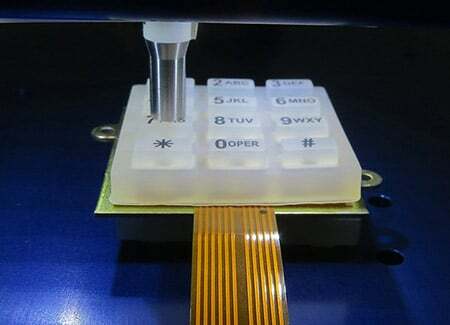 It can detect two separate electrical contacts, and it can be used to characterize resistive touch screens. 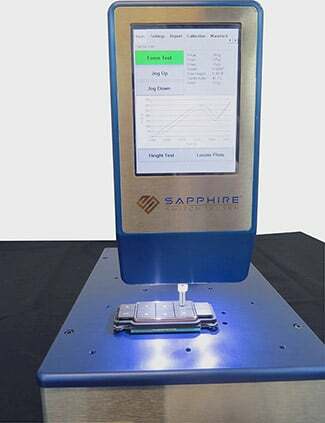 The Sapphire is an invaluable testing tool to ensure force-displacement compliance for your quality control department. 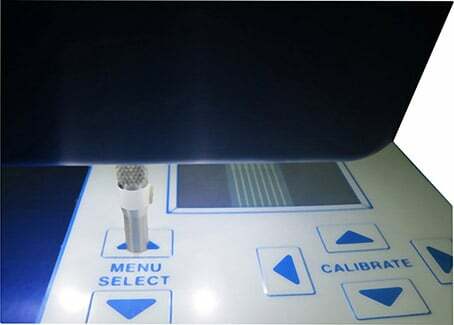 In standalone operation, the user can get test data and reports directly from the LCD screen. In-depth reports may also be generated in Excel via your company’s network. 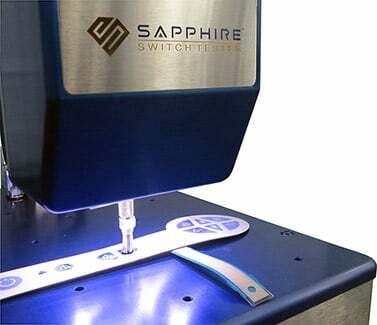 The Sapphire also has two USB ports that can save reports when a drive is detected. 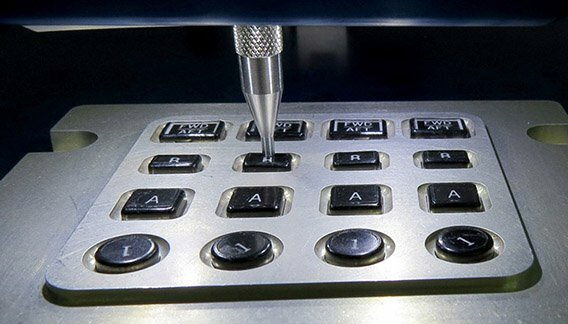 Contact Snaptron for more information. Test unit weight – 18 lbs. 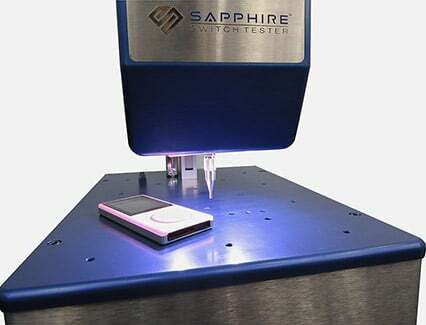 Rend = Resistance at end of test * The SAPPHIRE has the ability to measure the force and travel of two separate electrical contacts (Fc, Fb, Tc, Tb) of a dual-action tactile switch.